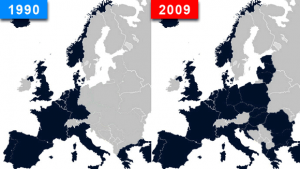 The accession of new Allies to NATO threatens Russia. NATO’s official policy towards Russia was most recently articulated by the heads of state and government of the Alliance at the Wales Summit in September 2014 . In fact, a very serious and widespread military threat, which will continue for many years to come. Ever since the collapse of the Soviet Union, the alliance’s attempts to establish a political relationship with Moscow have been made on only a very selective basis and to a very limited extent. Militarily, this has for the most part included arranging an exchange of military delegations and conducting small exercises in search-and-rescue operations at sea, counter-terrorism and piracy, and exchanging signals between ships, as well as narrowly defined conventional military war games. “In recent months, the number of NATO jets in the skies over our Eastern Allies has increased five times.We have deployed more ships in the Baltic and the Black Sea. And this year, we are conducting over 200 NATO and national exercises in Europe. A new exercise kicks off every two days. These assurance measures are just the start. We are also setting up a rapid reaction “Spearhead Force”, admitted Jens Stoltenberg. Yes, Washington has invited Moscow for consultations on missile defense. But only for consultations, not negotiations (international treaties are not produced during consultations). But there were two reasons for that invitation: to provide a political cover or shield for its programs to deploy its global anti-ballistic infrastructure against Russia, and also to create a plausible rebuttal to any harsh criticism of this American program. But after 12 years of consultations, the parties have still failed to reach any agreement on substantive issues. An analysis of the US position outlined in these meetings, as well as American statements on missile defense and practical actions to be taken in this realm, have demonstrated that the US was never particularly motivated to actually reach mutually acceptable and practical agreements, or even generalized agreements that could be discussed during the appropriate negotiations at a later date. The American missile-defense system deployed in Romania and Poland, as well as in the seas and oceans that border Russia, is directed against Russia and her strategic and tactical nuclear forces. America’s military and political leaders have always believed that the Pentagon’s attack weapons must intercept Russian nuclear missiles at the Russian border, not waiting until they arrive in the continental US. It is enough to read what the directors of the US Defense Department’s Missile Defense Agency have reported to Congress. The danger of deploying such weapons on the Russian perimeter, in addition to the considerations mentioned above, is that ever since the NATO summit in Chicago (May 2012), American and NATO anti-ballistic weapons can be rapidly attached to their nuclear and conventional weapons. In addition, it will be possible to load offensive weapons into the shafts of the missile interceptors that will be stationed in Romania and Poland, as envisioned in the Prompt Global Strike program, as well as land-based cruise missiles. These last two categories of weapons are in no way defensive systems. The combination of these three types of weapons for operational purposes, classified as the “Chicago triad,” was approved once again at the NATO summit in Wales. NATO opinion: NATO’s official policy on missile defence was set out by heads of state and government at the Lisbon Summit in November 2010, where they “decided to develop a missile defence capability to protect all NATO European populations, territory and forces, and invited Russia to cooperate with us” (declaration here). This was reiterated at the Chicago Summit in May 2012 (here) and the Wales Summit in September 2014, where leaders underlined that “NATO missile defence is not directed against Russia and will not undermine Russia’s strategic deterrence capabilities. NATO missile defence is intended to defend against potential threats emanating from outside the Euro-Atlantic area“. NATO also proposed a transparency regime including the creation of two NATO-Russia joint missile-defence centres. Russia has declined these offers. These Summit declarations are more than political promises: they define NATO’s policies. Rather than taking NATO up on cooperation, Russia has advanced arguments that ignore laws of physics as well as NATO’s expressed policies. The NATO system is designed to be large enough to defend against limited attacks by states and non-state actors potentially threatening the Alliance. However, it still remains small enough not to fuel regional arms races. In terms of the types of interceptors, their numbers and locations, it is configured to defend against the principal threats to NATO’s European territory, and is not directed against Russia’s much larger and more sophisticated strategic deterrent forces. The interceptors to be deployed in Europe, including at the planned sites in Romania and Poland, are not designed to defend against intercontinental ballistic missiles. Their capabilities are too limited and their planned numbers too few. 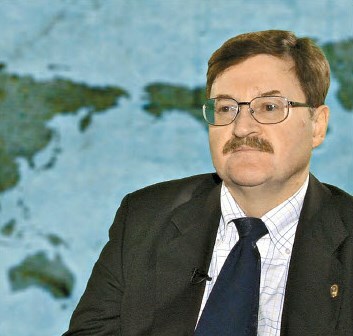 Independent Russian experts have publicly agreed that the US European Phased Adaptive Approach and NATO’s missile defence system, even when fully developed, will have no appreciable impact on Russia’s numerous and highly sophisticated strategic nuclear forces. This has been documented in numerous scholarly articles by Russian generals and rocket scientists in Russian journals. The Russian government has used missile defence as an excuse for accusations rather than an opportunity for partnership. 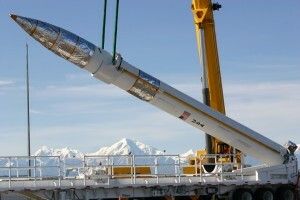 A ground-based missile interceptor is lowered into its missile silo at the Missile Defense Complex at Fort Greely, Alaska. US and NATO missile defense (although it is not found in all NATO states) is indeed aimed at Russia and its nuclear capacity. This is evident from the current and future regions where elements of American missile defense are stationed, their quantity, the high speed of the interceptors, the precision of their targeting, the way their system is organically linked to nuclear and conventional weapons, and also the US doctrine of “offensive nuclear deterrence” and the invitations extended to new NATO members to participate in this very inflammatory project after the US created nuclear weapons. Washington still has not given and will not give (at least not under the current US administration) any clear, unambiguous, and legally binding promises to refrain from using American or NATO anti-ballistic missiles against Russia, even though Moscow is prepared to make those same pledges to the Americans. The answer to the question of why Washington has put forward some ideas regarding the establishment of a “joint” missile-defense system with Russia has been given in the commentary above. 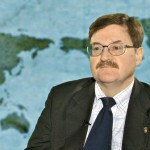 Additionally, it should be noted that the fact that the so-called Iranian missile threat is already safely neutralized by the anti-ballistic weapons currently deployed by the US and its closest allies in the Persian Gulf is evidence that the American missile-defense system is indeed directed toward Russia. Occassionally we read publications made at the expense of various US and NATO “think tanks” about “sluggish” American missile interceptors, which supposedly are “not able to overtake Russian missiles.” Authors of these papers, drafted in Western capitals, most likely have never read or perhaps not been able to understand them. Neatly packaged disinformation about the “weak” tactical and technical specs of the offensive weapons in the US “missile shield” has been “leaked” even by some Russian “experts”. It’s too bad that a few former high-ranking Russian military officers are among these “experts,” but the good news is that none of them will ever again have any role in making important military or political decisions in Russia. NATO opinion: Every country which joins NATO undertakes to uphold the principles and policies of the Alliance, and the commitments which NATO has already made. The entry of new members into NATO, especially when this involves near neighbors, does indeed threaten Russia. 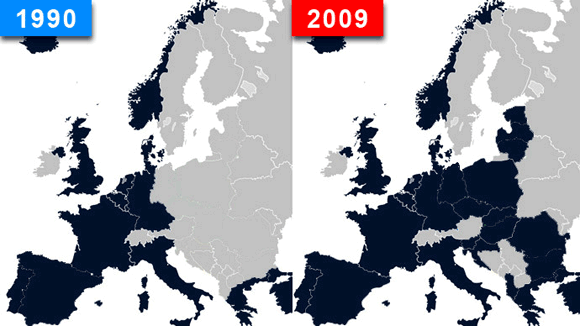 Second, take a look at the behavior of the Baltic countries before and after joining the alliance. Compare Ukraine’s behavior after she declared her willingness to renounce her non-aligned status with her conduct after she announced her intention to join NATO. Russia is not only worried about their military ambitions and, once those countries become NATO members, the springboard they provide for a possible attack on Russia and her allies and friends. Russia is also naturally worried about the sharp rise in anti-Russian sentiment, which the leaders of these states are deliberately cultivating. In fact, by accepting such states into its ranks, the North Atlantic union is laying a perpetual land mine under the relations between these states and Russia and creating a permanent irritant in our relationship. Many politicians in the West have already realized this could have disastrous consequences. None of this will ever lead to the strengthening of stability and security in Europe. On the contrary, all the good that has accumulated in the postwar years after the end of “Cold War 1.0” will be destroyed. To be specific, in terms of arms control, during those years seven treaties were signed that limited and reduced stockpiles of offensive strategic weapons, as well as three treaties on trust-building, and a number of agreements on nonproliferation and the non-militarization of space.